(ORLANDO, Fla.) The 66th PGA Merchandise Show, the industry’s annual “MAJOR of Golf Business,” came to a close Jan. 25, in Orlando, as it welcomed nearly 40,000 golf industry professionals from all 50 U.S. states and 89 countries. The 2019 edition delivered exciting product and industry announcements that energized the industry for the New Year. PGA Professionals and buyers uncovered the newest products, trends and technology from more than 1,000 exhibiting golf companies and brands. This included more than 200 companies new to the PGA Show, creating the world’s largest business-to-business golf event, within 1 million square feet of interactive exhibit, demonstration and meeting space of the Orange County Convention Center (OCCC) West Concourse Exhibit Hall. 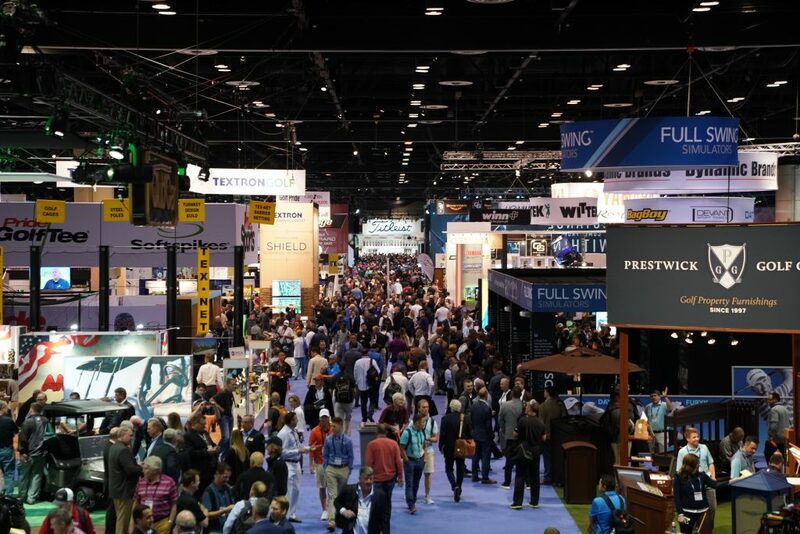 As the world’s largest gathering of PGA Professionals, the 2019 PGA Merchandise Show attracted more than 7,500 PGA Professionals from around the world. The top five countries (outside of U.S.) represented in attendance were Canada, United Kingdom, Korea, Japan and China. The top five U.S. states represented in attendance were Florida, California, New York, Georgia and North Carolina. The 2019 PGA Show was marked by significant industry announcements and product introductions including Titleist’s new ProV1 golf balls, Cameron putters and Vokey wedges; PING’s G410 drivers/woods; Callaway’s Epic Flash Driver; Cobra’s Speedback Driver; Odyssey’s Stroke Lab putters; Bridgestone’s E12 golf balls; and Mizuno’s new ST190 woods and JPX919 Hot Metal Pro irons, among many others. Golf lifestyle apparel and accessories are also well represented, with companies such as adidas Golf, AHEAD, Antigua, Bobby Jones Apparel, Callaway Apparel, Cutter & Buck, Dunning, FootJoy, Greg Norman Collection, Peter Millar, Polo/Ralph Lauren, PUMA Golf, Summit Brands (B. Draddy, Fairway & Greene, EP NY, Zero Restriction), Travis Mathew, Under Armour and Vineyard Vines anchoring the PGA Merchandise Show apparel section. The newest fashions for upcoming seasons featured bursts of color and new styles, sports performance fabrics, classic styles and leisurewear with sporty details. In all, hundreds of thousands of products and services were showcased within nearly 10 miles of Show aisles in the Orange County Convention Center. The global golf gathering began on Tuesday, Jan. 22, at the PGA Show Demo Day, when thousands of PGA Professionals and invited golf retailers previewed and personally tested the newest equipment, training aids and accessories from more than 100 top golf companies at Orange County National Golf Center. 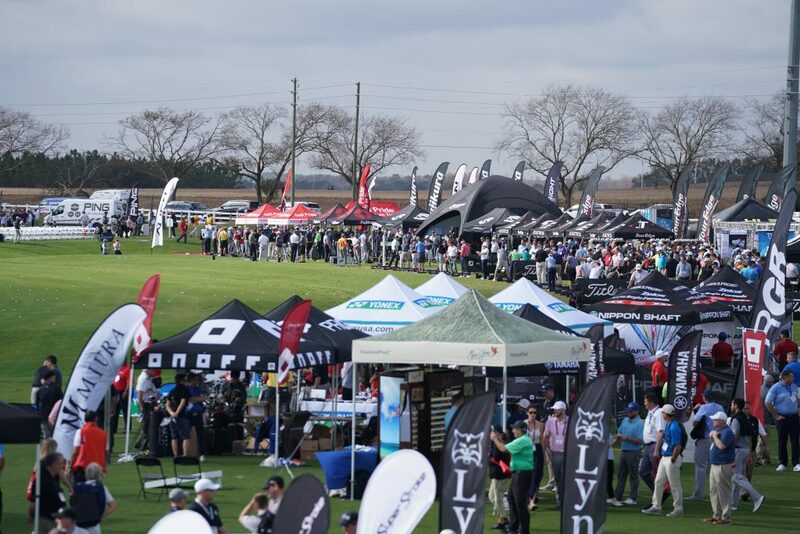 The newest products were tested within 200 hitting bays, multiple putting greens, a golf cart track and the vendor village at the 42-acre practice facility, to create the world’s largest professional golf demo event. The first Global Golf Innovation Competition, a new “Shark Tank”-style competition for golf startups, showcased ten up-and-coming innovators in golf to a full audience and an esteemed panel of judges on Tuesday, Jan. 22, at the OCCC. Spain’s Fabio Peral and his startup company Golf Boo, an online travel platform, was named the winner of the inaugural competition. HYPE Sports Innovation, an established global platform facilitating connections and investments among the sports innovation ecosystem, hosted the competition in cooperation with PGA Worldwide Golf Exhibitions. On Wednesday morning, Jan. 23, PGA President Suzy Whaley and PGA CEO Seth Waugh paid tribute to military veterans, the PGA’s 2018 Patriot Award Winner, Ken Juhn, and the PGA HOPE program with a live band and a red-carpet entrance for special guests at the PGA Show Opening Ceremony in the Central Lobby of the OCCC. PGA Show days were full of professional learning opportunities during industry presentations. The PGA Forum Stage presented by OMEGA, was a popular destination on the PGA Show floor, with a full schedule of compelling speakers and diverse programming for thousands of attending PGA Professionals and industry leaders. Presentations covered industry initiatives and topics such as #inviteHER, workforce diversity and digital branding, plus teaching and PGA Professional presentations such as the future of coaching, My PGA Journey mentoring program, college golf coaching and recruiting and the popular Sirius XM Teachers Town Hall. The PGA Forum Stage presented by OMEGA also was transformed into a catwalk for the popular return of the PGA Show LIVE Fashion Show, when the newest collections by top apparel companies came to life in a high-energy production. Many exhibiting companies hosted renowned PGA teachers, PGA and LPGA touring professionals and celebrities at the PGA Show including Greg Norman, Jim Nantz Brad Faxon, Luke Donald, Blair O’Neal, John Daly, Paula Creamer, Karrie Webb, Brooke Henderson, Nancy Lopez, Troy Mullins, Brooke Henderson, and top teachers such as Michael Breed, Hank Haney, David Leadbetter, Jim McLean, Mike Malaska, Gary Gilchrist, Mike Bender, Mike Schy and Stan Utley. PGA Professionals attending the annual PGA Show Education Conference were able to learn from industry experts presenting more than 50 educational seminars and workshops focusing on teaching and coaching, executive management and golf operations. Additional educational programs were offered throughout PGA Show Week at the PGA Teaching & Coaching Summit presented by OMEGA; Golf Fitness, Wellness & Instruction stage, sponsored by TPI, in the PGA Member Business Center and at the AGM Orlando Retail Conference. Attendees experienced a dynamic PGA Show Floor, featuring interactive exhibits; hundreds of vendor show specials and promotions; plus 50 equipment testing bays at the indoor Equipment Test Center, sponsored by Insane Impact; a new Golf Facility Innovation Center, featuring PepsiCo; a centralized New Product Zone, sponsored by Chippo Golf, for a one-stop shopping of the newest golf merchandise; the Inventors Spotlight exhibitor pavilion, in cooperation with the United Inventors Association, for patented products not yet available at retail; the Golf Fitness, Wellness & Instruction area, with the Adaptive Golf Center; and numerous specialty exhibitor pavilions, concentrating exhibits in the areas of travel, technology, international exhibitors, women’s accessories and new exhibitors. The 2019 PGA Show included the co-location of the inaugural Racquet & Paddle Sports Conference & Show Preview, Jan. 23-25, in Hall E/F of the OCCC. The new event included a pavilion of curated racquet, paddle and tennis vendors and organizations and two demonstration courts for a variety of racquet sports including tennis, pickleball, POP Tennis, platform tennis, badminton, Cardio Tennis and padel. Additionally, a hands-on demo and industry welcome party was held at USTA National Campus and the Tennis Industry Association’s Tennis Owners and Managers (TOM) Conference was offered in the OCCC. More than 1,000 media from some 23 countries reported from the 2019 PGA Merchandise Show. Golf Channel provided comprehensive live coverage to a worldwide audience in more than 36 countries, including 14 hours of Morning Drive live from the PGA Show Demo Day and from a PGA Show Floor studio and demonstration stage. Additionally, SiriusXM PGA TOUR Radio Network broadcast more than 50 hours from the PGA Merchandise Show. Golf enthusiasts also followed the latest daily news from the PGA Merchandise Show through multiple online news channels such as PGA.com, CBSSports.com and through #PGAShow on social media. 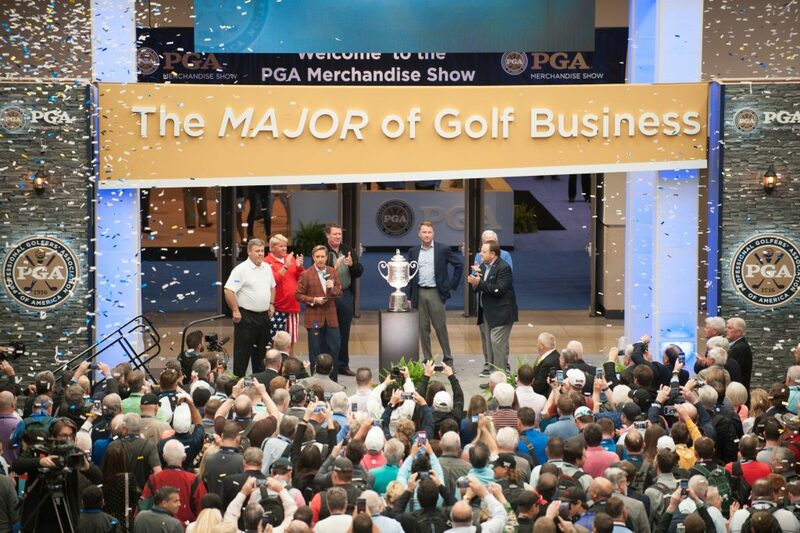 The official daily mobile news source, PGA Show News, provided daily, extensive coverage of PGA Show Week happenings. The next U.S. PGA Golf Show, the 2019 PGA Fashion & Demo Experience takes place Aug. 12-14 at The Venetian Hotel and Casino during Fashion Week on the famous Las Vegas Strip. The 2020 U.S. PGA Merchandise Show is scheduled for Jan. 21-24 in Orlando, Fla. Learn more at PGAShow.com and engage with us on social.